Search Engine Friendly (SEF) URLâ€™s are very common today with the widespread use of content management systems (CMS). These are URLâ€™s that look like http://www.website.com/about as opposed to the conventional http://www.website.com/about.html. An SEF URL in a CMS would replace something like http://www.website.com?id=34. A CMS may generate a long and complex URL which can prevent a search engine from indexing it. An SEF URL will shorten the URL and remove the ? character which sets off warnings with web crawlers. The first thing that you need to do is determine if mod_rewrite is installed in Apache. You can find this by using the phpinfo () function (see phpinfo.php for example). This function will display a long list of settings that PHP and Apache are using. Scroll down to apache2handler and check if mod_rewrite is in Loaded Modules. If the module is installed, but URL rewriting doesnâ€™t work, youâ€™ll need to make minor changes to the httpd.conf file located at /etc/httpd/conf/. Change AllowOverride to All (see httpd.conf below). You may need to change this in several place in the configuration file before URL rewriting works. After you made the changes, youâ€™ll need to restart Apache. If your not sure how to do this, see How to Start, Stop, and Restart Apache in Linux. Test mod_rewrite by loading the following files (.htaccess, one.html, two.html) on your web server. The RewriteBase setting in .htaccess should point to the subfolder in your web server (i.e. /rewrite/) if the default setting below doesnâ€™t work. When you browse to one.html, you should be redirected to two.html. You can download the code below here. This is the number two. At various times, you will need to manually start and stop Apache. This could be due to making changes in the httpd.conf file which requires a restart, or the web server could be experiencing problems. You can perform these commands in a Linux terminal with httpd. If your having problems with a feature in Apache, such as URL rewriting, you can check if the rewrite_module was installed. The following procedure works on a Linux terminal with Apache 2.x. Lists shared/dynamic modules. You can also use apachectl â€“D DUMP_MODULES. 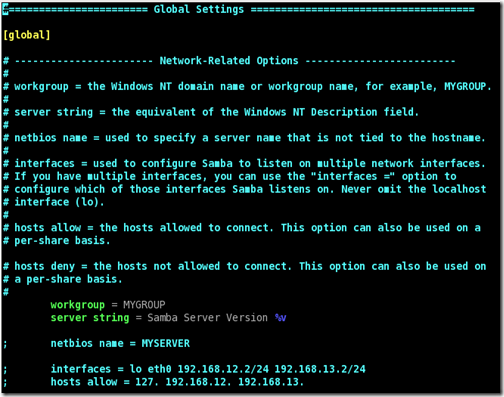 A Linux computer can connect to a Windows network through Samba, which can be easily in installed in Fedora and other distributions. You will need to enter the workgroup that the Windows network uses in order to connect to it. This information can be entered in the smb.conf file found at /etc/samba. Scroll down until you find workgroup (see below) and change the name to match your Windows workgroup setting.